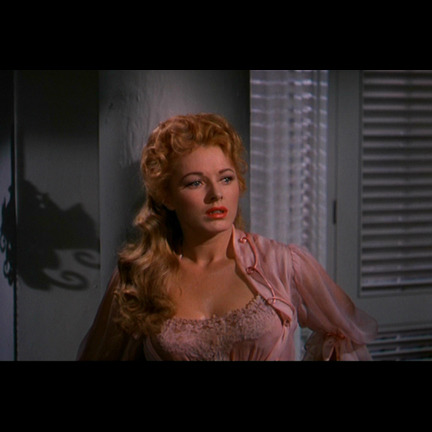 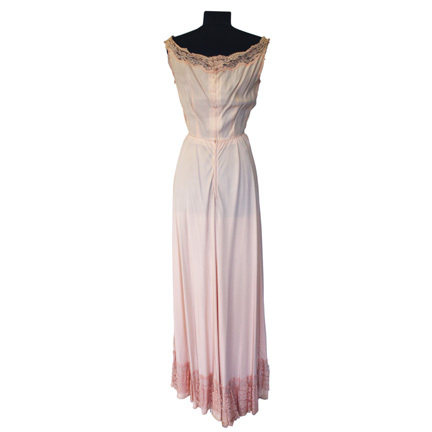 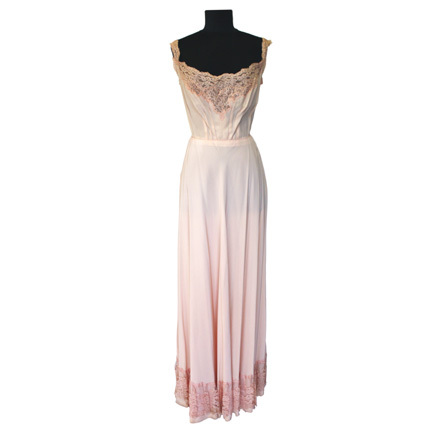 This pink satin negligee with lace details at the bust and hem was worn by the character "Joanna Leiningen" portrayed by actress Eleanor Parker in the 1954 motion picture ï¿½The Naked Jungleï¿½ starring film legend Charlton Heston. 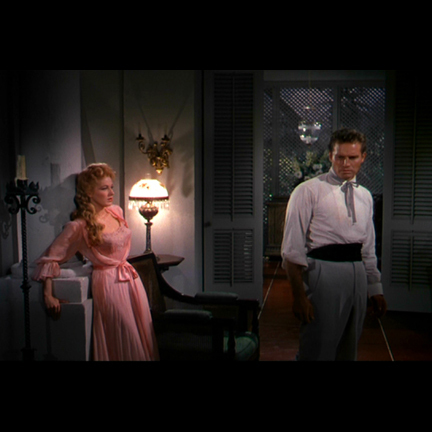 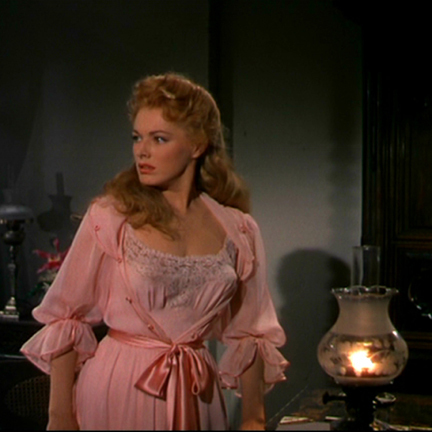 Ms. Parker wore the dress beneath a sheer floor length robe during the scene where Joannaï¿½s husband "Christopher" (portrayed by Heston) bursts into the bedroom of their cocoa plantation and angrily douses her with an entire bottle of perfume heï¿½d purchased for her after she refuses to wear any of it voluntarily. 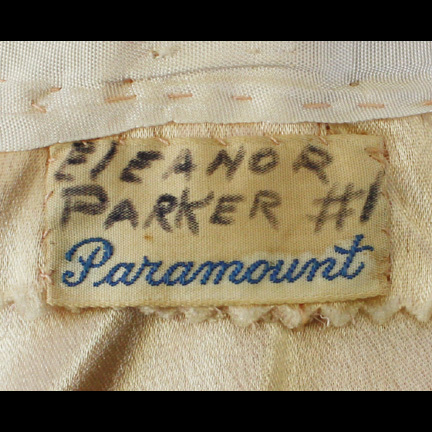 The garment is complete with the original Paramount Pictures production label sewn inside with the name ï¿½Eleanor Parker #1ï¿½ written in slightly faded black ink. 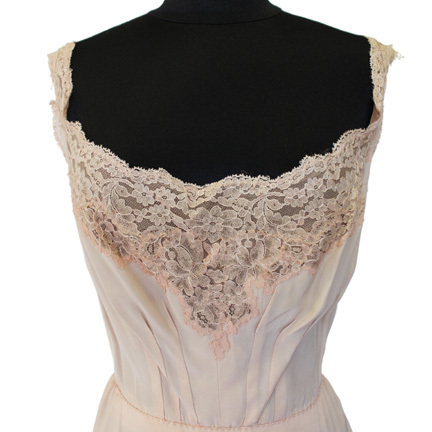 The garment is in good screen worn condition with some minor evidence of age and is accompanied by a letter of authenticity.